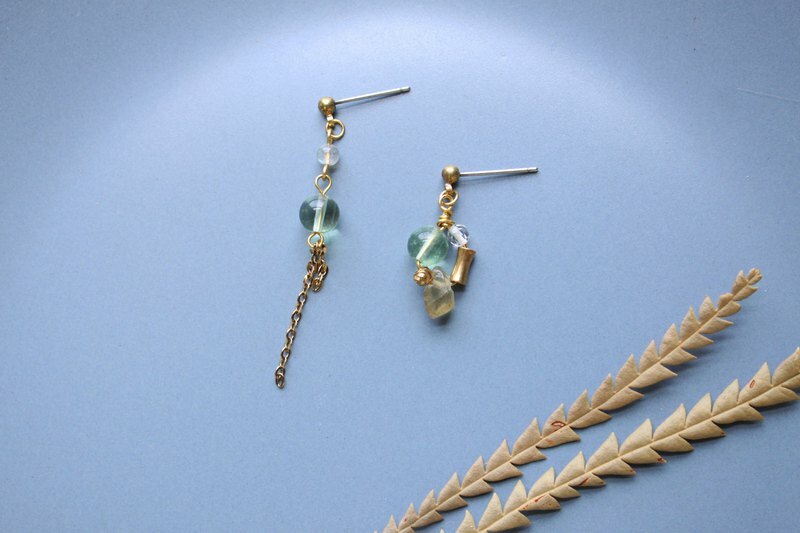 The material of the product: brass/Fluorite/Labradorite/Clear Quartz The length of the earring is about 6 cm. (not including the knot) ●The material of this product is natural stone. Thus, the color, the shape and the luster of per stone would be a little bit different. ========================== https://c2.staticflickr.com/2/1754/42636730271_e360d489bb_c.jpg ●The color and the type of stone of this product can be customized. ●The knots are made of steel, and its can be transformed into clip-on earrings for free. ●Please keep away from perfume or hair spray, wash with water and sanitizer when taking off. ●Put it into zipper bag after dried it. ●Clean with soft toothbrush with toothpaste or use the silver polish water or cream if it was oxidized severely.